This cheer trophy will help celebrate the talented cheerleaders you’re proud to work with. There are many designs to choose from to top this trophy, including cheer figures, a junior cheer figure and even a three-figure design, ‘Cheer Triple Action’. 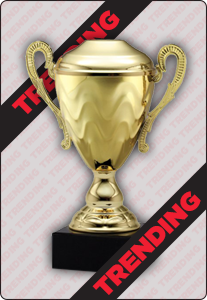 Choose your team color for the column and allow this trophy to stand in pride of place!